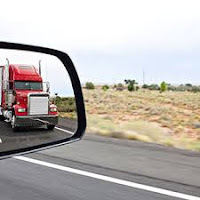 Arnold Law, LLC: Commercial Truck Accidents and You. Commercial Truck Accidents and You. You are driving in your vehicle and out of nowhere a truck with a business name on the side of it sideswipes you and causes an accident. Even if it is clear that the truck driver caused the accident, it's not always easy to figure out who is legally liable. When is a company liable for its driver’s conduct? This will go a long way in determining where to begin when you contact a Baltimore area car accident attorney. There is a Latin term called "respondeat superior". This is legalese for making the superior answer for the mishap. Specifically, an employer is liable for the wrongful acts committed by its employees or agents. Employers accept this responsibility as part of the cost of doing business. They naturally have deeper pockets than the driver. There are many other legal nuances that come into play when a company truck causes damage to your vehicle. Make sure to obtain all of the pertinent information about the driver and the company at the scene. The next step is to call Baltimore traffic accident lawyer Briana Arnold. Attorney Arnold will help you obtain everything that you have coming to you. Call her today for an appointment at her Baltimore office at (410) 484-1400. What to do Immediately After an Auto Accident.